Studies over the last few years have been highlighting the glaring problem of hospital mistakes that cause permanent injury and death in patients. This month, a new study is further showing that these tragic and preventable errors are happening at an alarming rate to one of our most vulnerable patient populations: nursing home residents. The Medicare study found that 33% of patients in skilled nursing facilities (nursing homes) suffered adverse events (were harmed / injured) during their stay, and 59% of these adverse events were preventable. In 1.5% of cases, substandard care caused patients to die. Much of this preventable harm was due to substandard treatment, inadequate resident monitoring, and a failure or delay of necessary care. The patient injuries were caused by medication errors, bed sores, falls, infection, preventable blood clots, excessive bleeding from improper use of blood clot medications, fluid imbalances / mismanaged blood pressure and heart problems, and kidney failure. The study was performed by the inspector general of the U.S. Department of Health and Human Services (HHS), and it examined patient treatment in nursing homes for up to 35 days after discharge from an acute care hospital. Medical records of 653 randomly selected patients from over 600 facilities were reviewed. The study estimated that 21,777 patients were harmed and 1,538 died due to poor skilled nursing care during a one month period. These problems are characteristic of problems that exist throughout the health care industry. Hospitals usually try to discharge patients as quickly as possible because this saves money since HMOs and Medicare typically give hospitals a flat reimbursement for a service performed, such as surgery. For example, the shorter a patient’s stay after heart surgery, the more money the hospital keeps for performing this service. Patients are being discharged too soon from hospitals and are sent to nursing homes, which are less costly. Many of the patients admitted to skilled nursing facilities are not stable and need more intensive care. Nursing homes were originally created for patients who needed long-term medical care, but who did not need intensive treatment. Now, however, nursing homes are admitting patients whose conditions warrant more intensive care and treatment than many nursing homes are equipped to provide. In fact, with hospitals trying to shorten patient stays, the nursing home industry has had a dramatic boom. Medicare spending on skilled nursing facilities more than doubled between 2000 and 2010. This HHS study is a continuation of a series of studies undertaken between 2008 and 2012 by HHS. In 2010, HHS published findings from a study using data about hospitalized Medicare patients. Researchers found that 13.5% of Medicare patients experienced adverse events during their stay, and 44% of this harm to the patients could have been prevented. In 1.5% of these patients, the harm led to death. According to the researchers, this projects to an estimated 134,000 patients experiencing harm over a one month period, with harm causing death in an estimated 15,000 patients. Research has gone beyond studying preventable hospital errors in Medicare patients. Last year, the Journal of Patient Safety found that preventable hospital mistakes are responsible for a projected 440,000 deaths per year, which is 1/6 of all deaths nationally, making preventable medical mistakes the 3rd leading cause of death in the U.S. Ten to twenty times that many patients won’t die from preventable hospital errors, but will have severe injuries. Little to nothing is being done to decrease preventable hospital mistakes. With hundreds of thousands of patients dying a year from preventable hospital mistakes and millions becoming severely injured, major steps for reforming hospital practices must be taken. But research regarding hospital practices that pertain to medical negligence is also extremely alarming. According to a recent piece in the New England Journal of Medicine (NEJM), mistakes made by physicians are rarely reported or exposed by other physicians. A 2012 study by HHS involving Medicare patients found that 86% of all medical errors go unreported. Even more alarming is that when medical institutions identify preventable mistakes at their facilities, new policies to keep the mistakes from recurring are rarely implemented. Exacerbating this problem is the fact that when mistakes made by physicians actually are reported (i.e., the physician had hospital privileges revoked or restricted), disciplinary action is almost never taken by the state medical board. This means that physicians who have been negligent have perfectly intact medical licenses and are free to practice at any hospital in their state. With an alarming number of patients being injured and killed by preventable medical errors – and this problem magnified in nursing homes – it is crucial for patients and their families to play an active role in patient care. Listed below are some suggestions we made in an earlier blog regarding patient safety. It is very important for patients to play an active role in their treatment. If the patient is not fully cognizant (which is frequently the case during a hospital stay), it is a good idea to have someone sitting next to her as often as possible. When choosing a hospital, make sure the facility will allow a patient sitter to be present at all times. Patients must remember that they are in charge. They have a right to read their charts and medical records whenever they want, and people given permission by the patient also may read the records. If a patient wants a patient sitter, she has the right to have one. Some hospitals may make this difficult, especially during non-visiting hours, which is why it is important to discuss this with the hospital prior to admission. In addition, patients should feel free to ask questions. It is prudent to ask the treating physician or staff member performing a procedure how many times she has performed the particular procedure, test, or surgery. HOW CAN I PREVENT A MEDICAL ERROR FROM OCCURRING DURING LABOR AND DELIVERY? In the instance of labor and delivery, there are many questions a prospective obstetrician or midwife should be asked. A very important question to ask is how competent the staff is at interpreting fetal heart rate tracings. It is crucial to make sure that staff is present to review the tracings, and that the staff members – especially the physician – have experience and skill in interpreting the tracings. Indeed, a 2013 study from Johns Hopkins found that 80,000 deaths AND 80,000 severe injuries each year are caused by wrong, missed or delayed diagnoses. Even if a physician misses a diagnosis that can affect the well-being of an unborn baby, the baby’s distress will be noted on the fetal heart rate monitor. The key is to have a staff member skilled enough to detect even the early, subtle changes that indicate that distress in the baby is imminent. Research shows that a lack of skill in fetal heart tracing interpretation and a breakdown in communication among the labor and delivery team are significant causes of preventable injury to the baby during labor and delivery. Indeed, close monitoring of a baby’s heart rate is always important during labor and delivery. This is because the fetal heart rate is often the only indication of how well the baby is doing. If a baby starts to become oxygen deprived while in the womb, the fetal heart rate monitor will indicate this. There are many conditions that can occur during labor and delivery that can cause a baby to be oxygen deprived and in distress. Thus, it also is crucial to make sure the labor and delivery facility and physician have the capacity to perform an emergency C-section if necessary. Of course, it is the duty of the physician to obtain informed consent from the mother for any procedure performed. This means that the physician must explain the risks, benefits and alternatives of all procedures and potential delivery methods. But when a baby is in distress, a C-section is often the best (and sometimes only) way to quickly deliver a baby to prevent brain damage when she is being deprived of oxygen in the womb. Certain conditions, such as cephalopelvic disproportion (CPD) and total placenta previa, require a C-section delivery. In addition to proper fetal monitoring, the mother must also be properly monitored. A mother’s blood pressure, heart rate, and physical signs (such as abdominal and back pain and lack of fetal movement) can give important information regarding impending fetal distress. When labor and delivery are not properly managed, a baby may develop brain bleeds or become severely oxygen deprived for other reasons. When a baby goes without sufficient oxygen for too long, permanent brain injury can occur. Babies can end up with cerebral palsy, hypoxic ischemic enecephalopathy (HIE), periventricular leukomalacia (PVL), intellectual and developmental disabilities, seizure disorders, and hydrocephalus. Babies can also become brain damaged if an infection in the mother is not properly managed and it travels to the baby’s brain at birth. Permanent brain damage in a baby can also occur if a baby’s blood sugar or bilirubin levels are not properly monitored and treated if abnormal after birth. 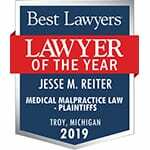 For over 25 years, the award winning attorneys at Reiter & Walsh ABC Law Centers have been helping families nationwide affected by cerebral palsy and other birth injuries. 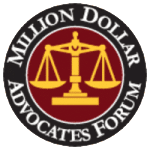 Our nationally recognized attorneys have a track record of multi-million dollar verdicts and settlements that attest to their success. If medical malpractice occurred, we will fight to obtain the compensation your child needs for lifelong therapy and treatment and a secure future. 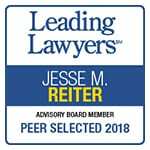 Email or call Reiter & Walsh today for a free consultation: 888-419-2229. Our firm doesn’t receive any fees until we win your case.